Welcome to the magical world of Mr. Marc Magic one of the best and most entertaining magicians and moderators in Germany. The first priority of the magician, moterator, and entertainer Mr. Magic is providing the best entertainment, highest quality of his performances and the most economic value for his clients. “Magic art ” is Marc’s obligation, “magic entertainment” is what he handles perfectly. Charismatic, sensible and very funny the magician drags his audience into the world of the unexpacted. Magic is no wonder – it is pure entertainment!!! Get bewiched by the magician Marc Magic, with his stage show, close-up entertainment, an individual conception, perfect presentation, best moderation, product magic, street magic, party magic or his trade show performance! Mr. Marc Magic is THE magician of magicians! Experience magic entertainment at its best! This is what Mr. Marc Magic stands for – one of the most engaged professional magicians in Germany. Mr. Marc Magic is one of the best magicians in Germany. As a professional artist he mostly works for business events. When his schedule allows he also works for private parties or on cruises. 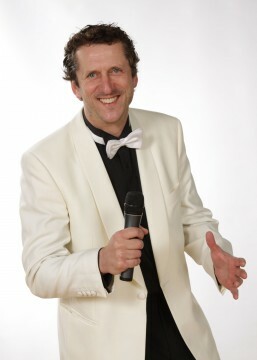 Mr. Marc Magic performs stage shows, close-up (table hopping), product magic, comedy magic (resp. magic waiter), and moderations. Due to immediate and personal contact with the audience, magic gets a whole new character. Close-up (or table magic) is the term of the art, which brings the fun directly amongst the people, from table to table, group to group and person to person. Even within small groups, magic serves the purpose of communication. Close-up magic is also ideal to break the ice at any event: a bar, a lounge or directly at the table of your guests. 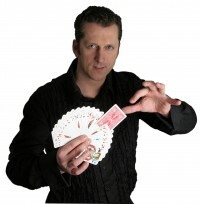 Mr. Marc Magic makes use of everyday items such as pencils, coins or anything which the audience might hand to him. The magician can also produce and do close-up magic tricks for your logotype (see “others”). This leaves a lasting impression during and after the magic show with your customers, clients or even friends. This product-related close-up magic (and/or table hopping) is a deep image building kind of entertainment. The magician “Mr. Magic” is simply magic!!! Do not forget to plan your Christmas event now!! !